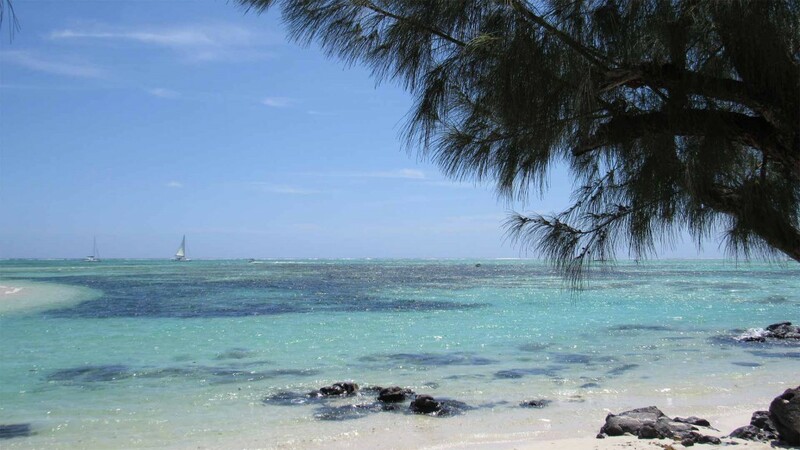 If you have always been dreaming about one of the most beautiful beaches of Mauritius then you should go to Ile aux Cerfs. 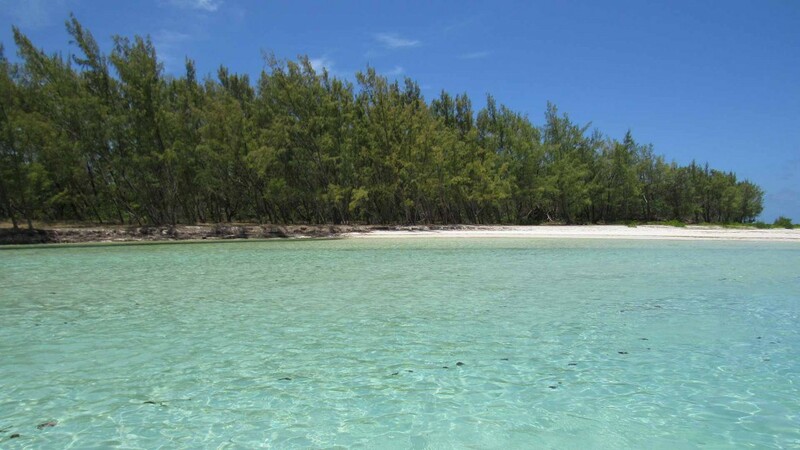 Ile aux Cerfs is a small island which you can only reach by boat or catamaran. 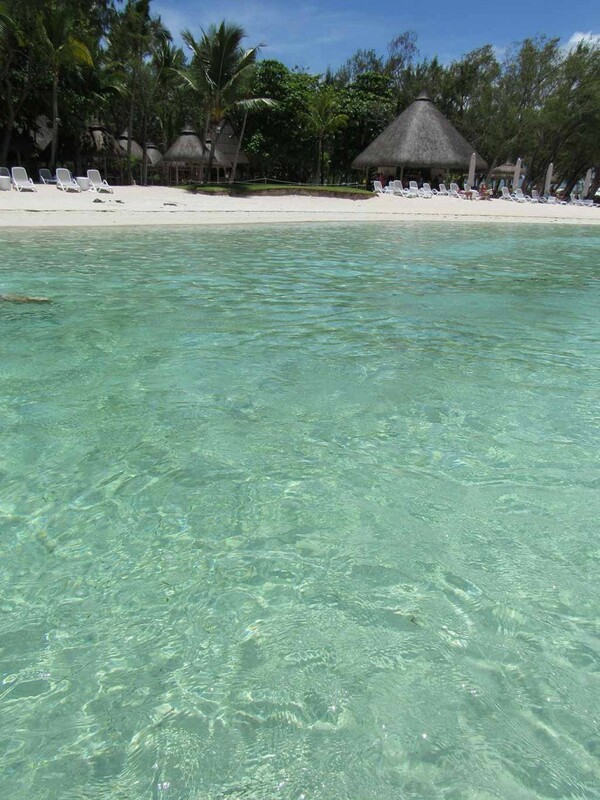 The water is crystal clear with a white sand beach decorated with shady palm trees. One side of the island the water is very calm and the water level is low, so you can easily relax for an hour in the water. 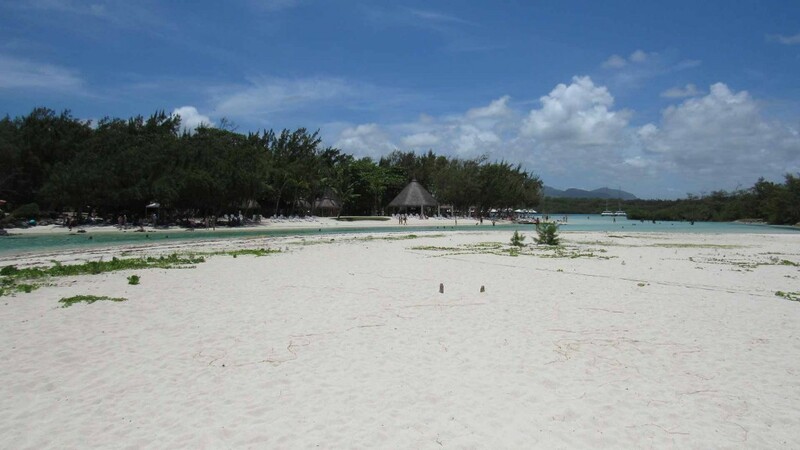 If you can’t get enough of hanging out on amazing white sand beaches you should not miss the beaches of Ile aux Cerfs! 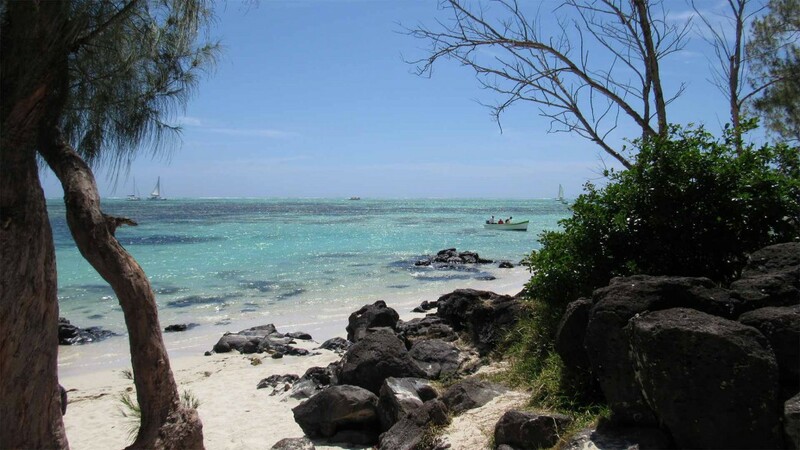 To make ‘the paradise feeling’ complete it is highly recommended to book a complete tour. 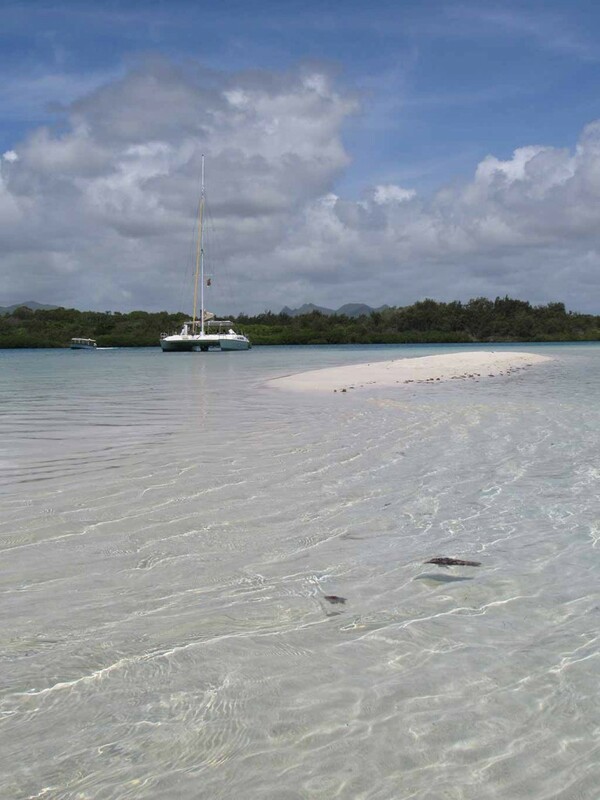 Being picked up with a catamaran or a speedboat, consuming a refreshing drink, explore a waterfall on your way to the island and then getting dropped off at Ile aux Cerfs to relax under a palm tree or lying in the water with the most amazing view.. paradise! 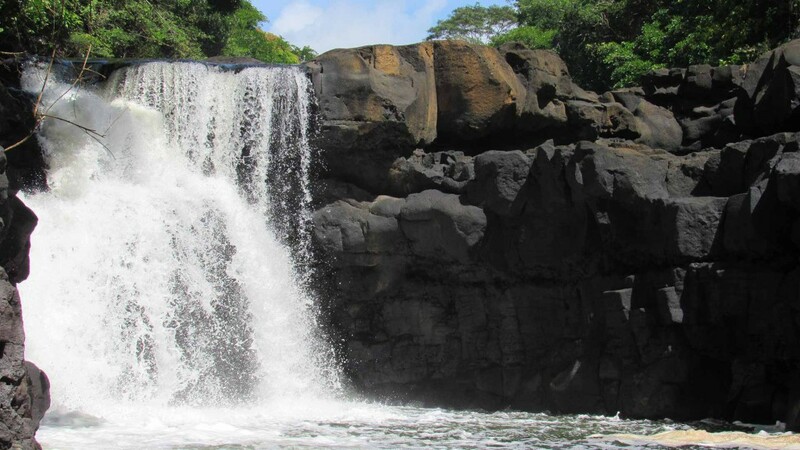 Whether you go to the island on a speedboat or a catamaran, your trip will include a visit to the waterfall of Grand Riviere South East (G.R.S.E.). Be sure to take some bananas with you. 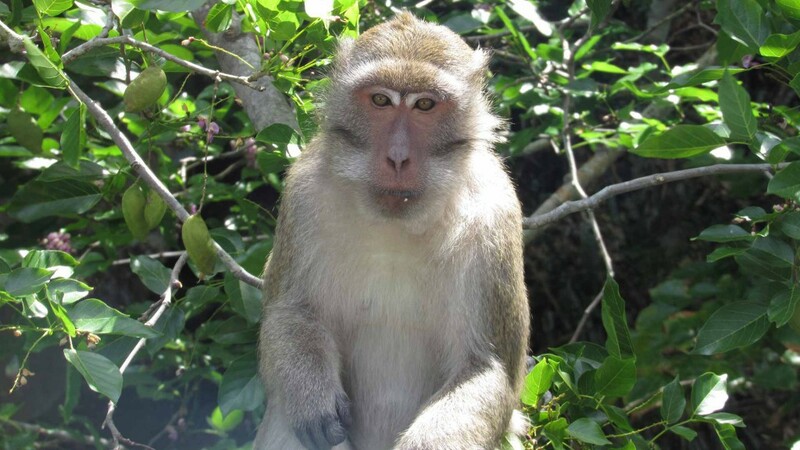 When sailing towards the waterfall through the river (which is the longest river of Mauritius) you have the possibility to see and feed the monkeys who live on the shores. 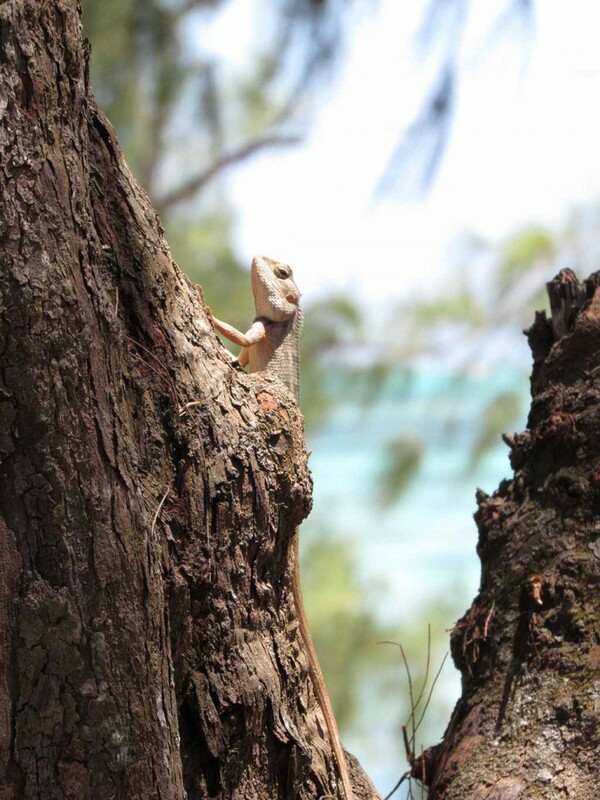 After the visit you will go to the island. 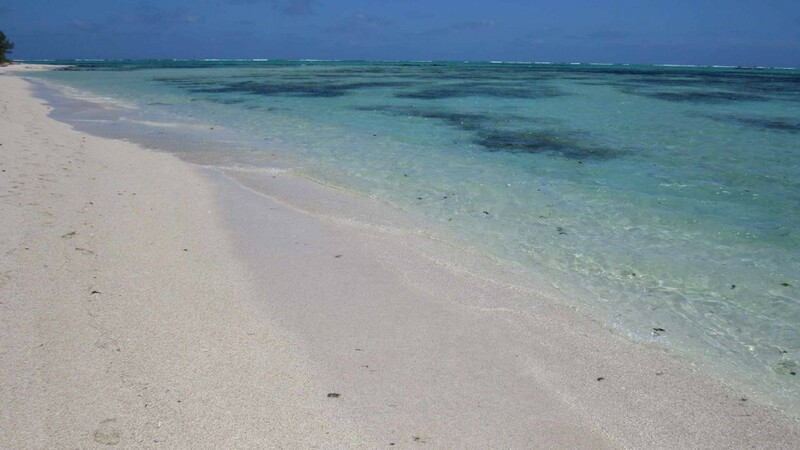 There you have some hours to swim, relax and explore the island. 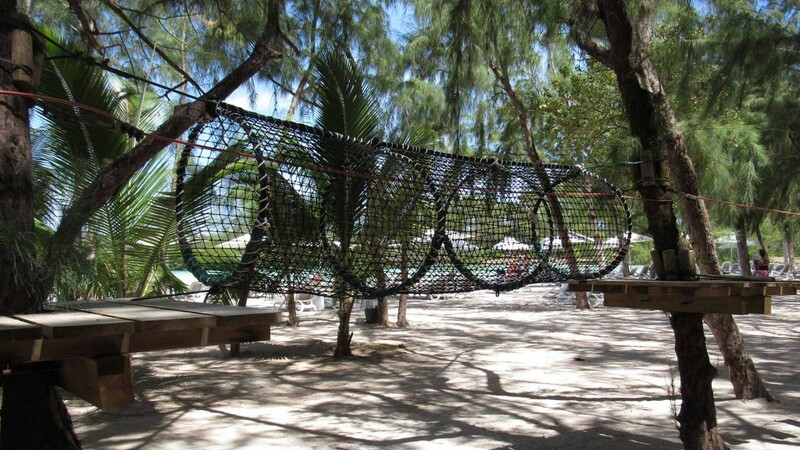 For the small children, there is an adventure park. For the ‘big children’ there is para-sailing. If you arrange para-sailing on the island it will cost you 1500 rupees for two persons, but you can bargain to get a cheaper price. 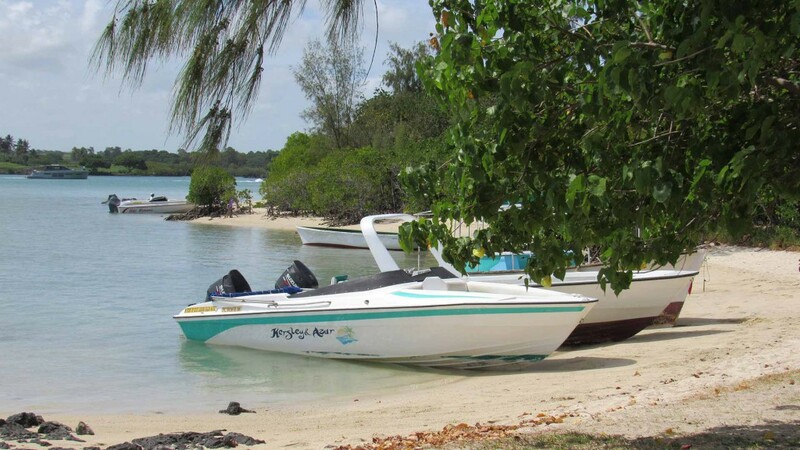 Afterwards the speedboats go to the other side of the island to have a beach bbq with fresh fish, drinks and live music! 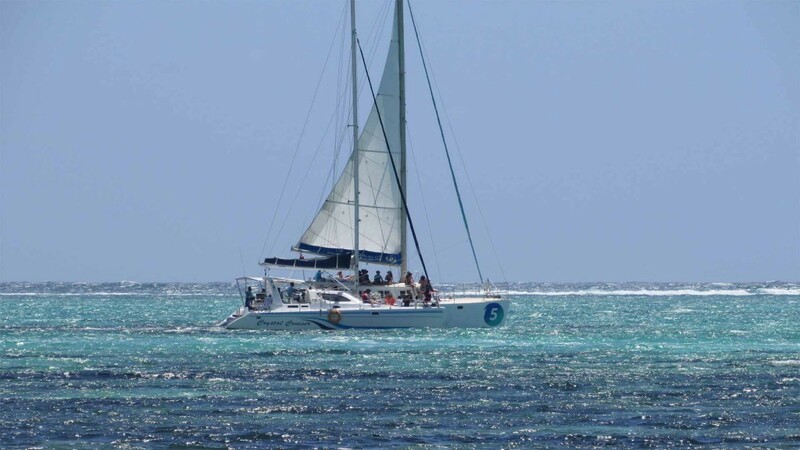 the catamarans will do the same on deck. 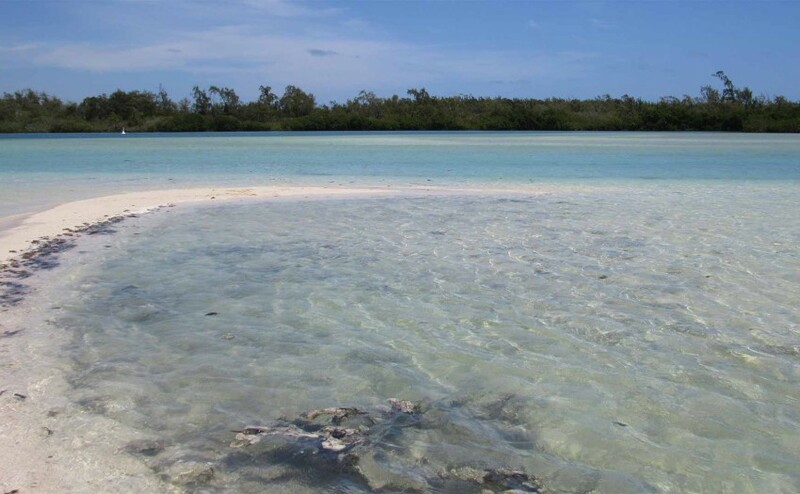 Depending on your tour you will also have the possibility to snorkel. 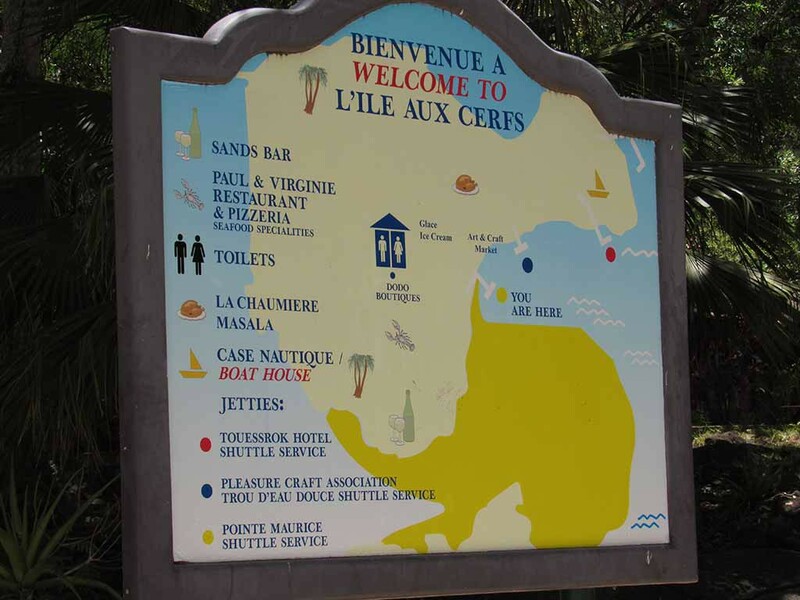 Where to find Ile aux Cerfs? 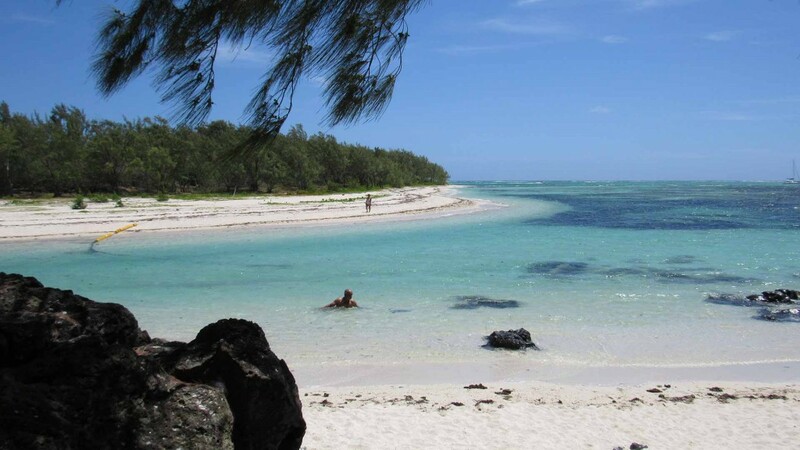 The island Ile aux Cerfs is located on the south east side of the island, between the villages Trou d’eau Douce and G.R.S.E. 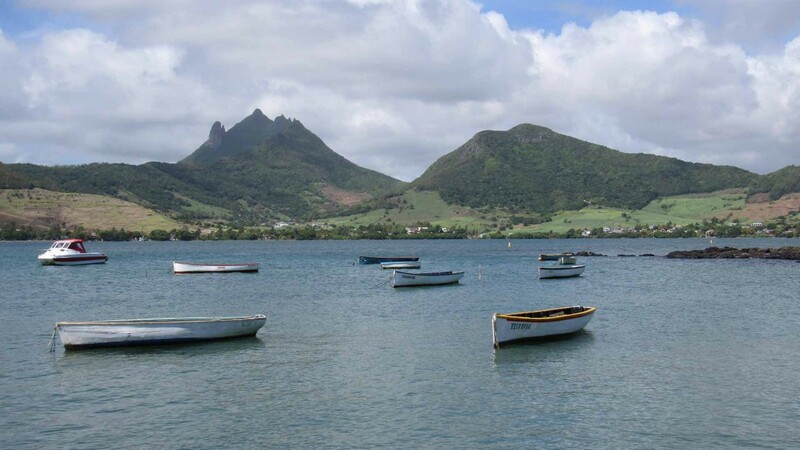 From where you get on your boat or catamaran you have a splendid view over Domaine du Chasseur. 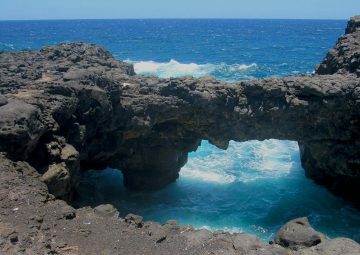 You can arrange a tour to this beautiful island at tourist offices or your accommodation. The tours are very affordable. 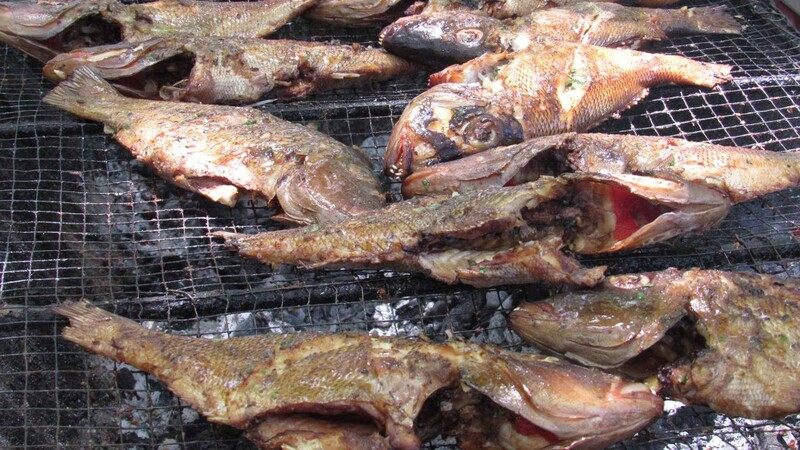 For about 25 euros it is already possible to get a tour that include transport to the east, a speedboat and a bbq. 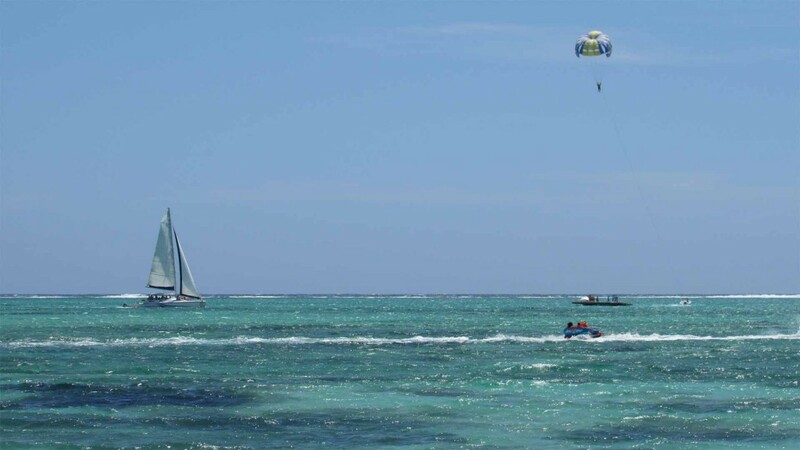 Pay a little extra and you can even go para-sailing! 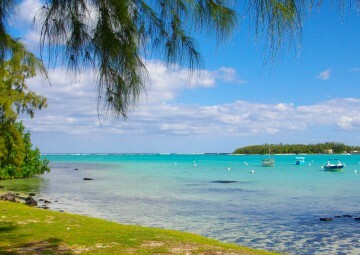 Another option is to go to Trou d’eau Douce or G.R.S.E. and arrange a boat yourself, although we do not recommend to do this. 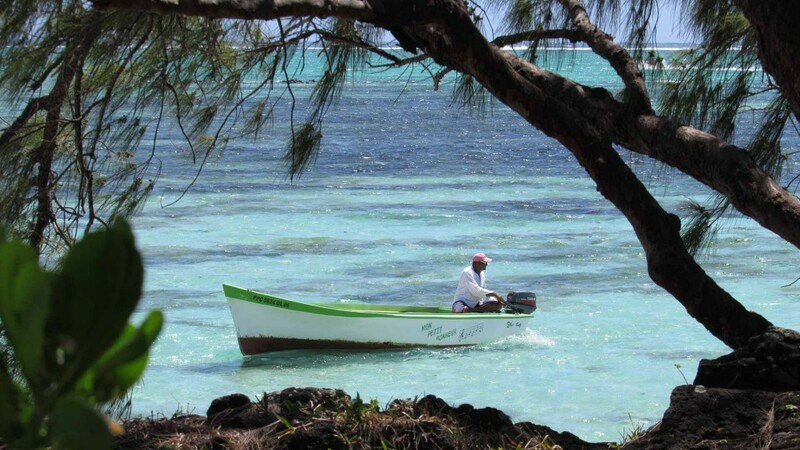 Locals will try to sell you a boat trip to the island for a higher price than a all-inclusive tour will cost. You will have to negotiate very hard to get a fair price.